A trusted name for geothermal HVAC solutions. Geothermal systems provide heating and cooling for any type of building using the Earth as a heat exchanger rather than burning fossil fuels. Learn more about this amazing technology. 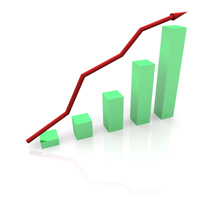 Theory is one thing, but we can show you Live actual energy savings from one of our installations. Ever been a sceptic? you won’t be after seeing this! Find out how much a geothermal system would cost. 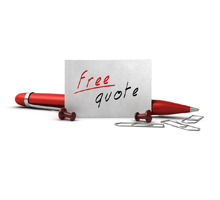 Go to our online Estimate Request form. We found Thermal Creek to be very professional during the construction process. I would highly recommend Thermal Creek and would use them again. Thermal Creek proved to be a qualified, knowledgeable and professional geothermal company. I’m glad that I chose them to design and install my geothermal system and I recommend them to anyone considering a geothermal installation. After a year with the system installed and running I am extremely satisfied with the installation, operation and service I receive from Thermal Creek. 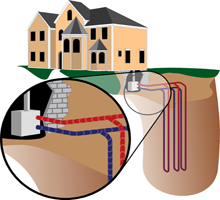 I would recommend Thermal Creek Geothermal to anyone thinking of installing a Geothermal system. Thermal Creek’s ability to work with and educate our trades and staff from design through to implementation to follow-up on performance with our home owners aligned perfectly with our company’s core values of Sustainability, Integrity, Accountability, and Agility. We have worked with many companies that provide renewable sources of energy, and Thermal Creek remains at the top of our list. We were very fortunate to come into contact with Thermal Creek and Koen! We had a geothermal system installed by another company in Calgary that didn’t know what they were doing and shortly after installation, declared bankruptcy. It is one thing to install a system from start to finish, but quite another to come into someone else’s mess and fix it. Thermal Creek has done a phenomenal job of troubleshooting and successfully getting our geothermal system to work properly! We can’t thank them enough and would recommend them to anyone!